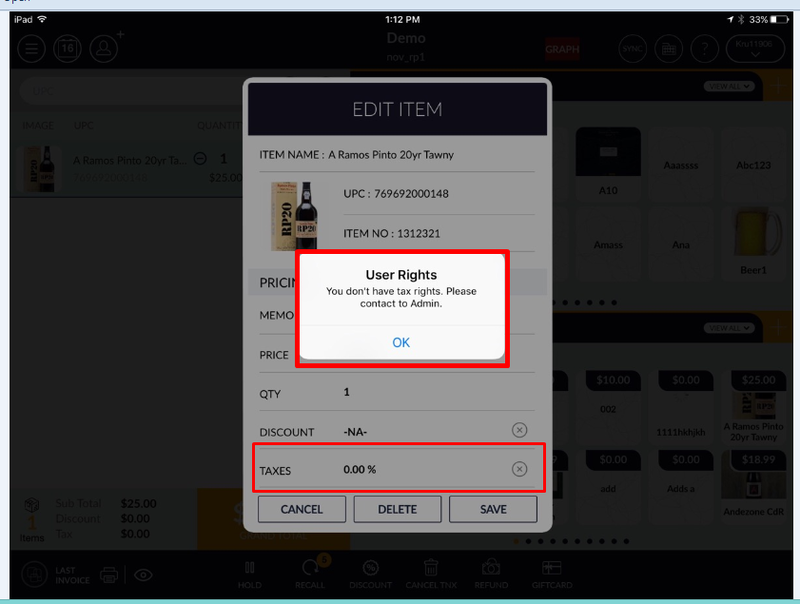 This right is for tax apply and remove on items in POS module. 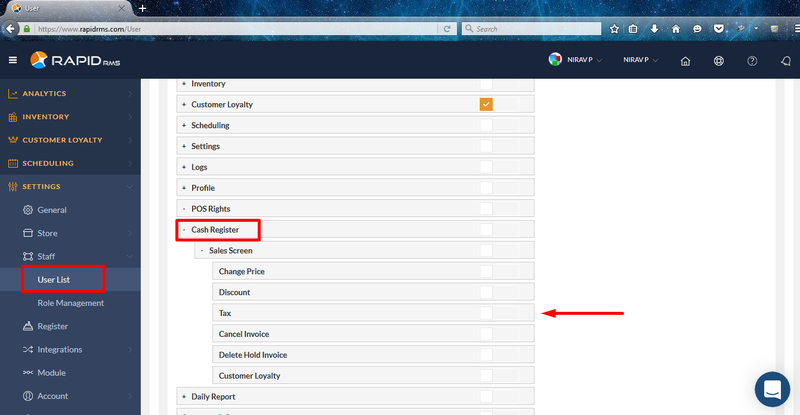 Setting -> staff -> user list -> open user in edit mode -> open user rights tab -> POS rights -> Cash register right -> tax. 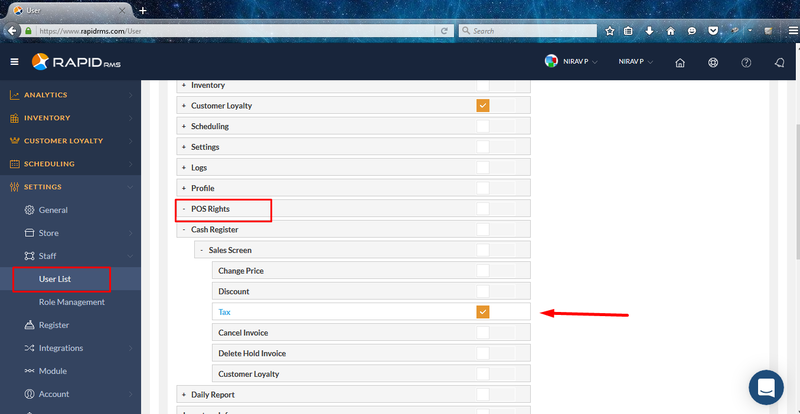 If option for tax is selected in user rights then in POS screen there is no restriction for tax apply and remove. 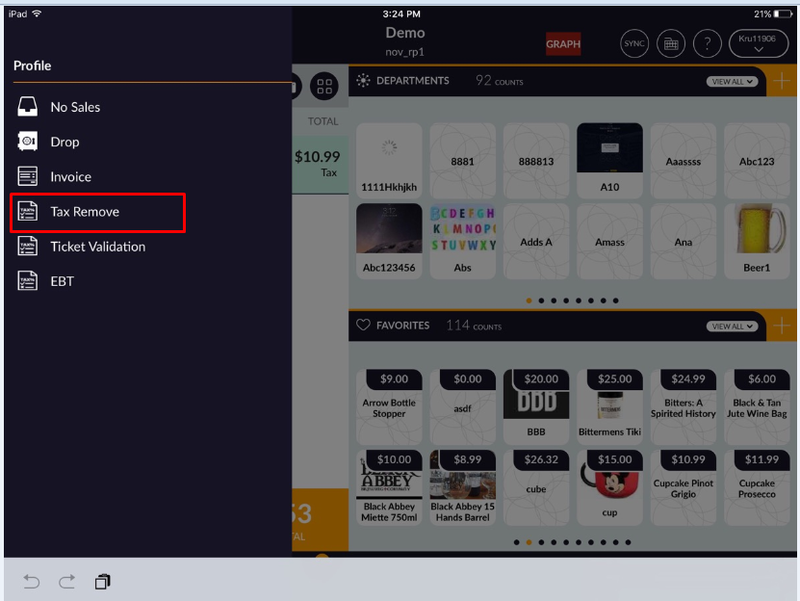 If option for tax is not selected then at the time of swipe item tax is not allow to apply or remove. And also from side bar option tax remove is not possible.